"Every Australian Christian should read One Blood"
Out of a burning conviction that 'God made of one blood all nations', Christians have carried their message to Aborigines throughout Australia. 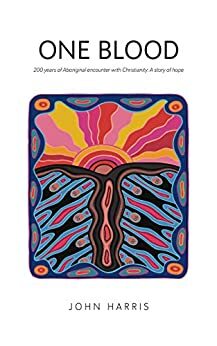 It is this encounter and its results that John Harris explores in these many stories that tell one story: how, in the face of abuse, paternalism, prejudice, isolation and crippling hardship, the Christian gospel was brought to the Aboriginal people. Although sometimes blind to their own faults, those who brought this message were remarkable people of great compassion and courage. For two centuries, this activity was a major force in the lives of the Indigenous people of Australia. Christian missions were sometimes places of regimentation marked by a loss of freedom; often, too, they were places of survival and refuge for a suffering people. The missions may seem to have failed, yet from many of them are emerging distinctive Aboriginal churches with strong Indigenous leadership. One Blood is the definitive review of 200 years of history. As a reference work, the over 2,600 footnotes and extensive bibliography provide a treasure trove of primary sources. As a story of interaction between Indigenous and non-Indigenous Australians, One Blood is a book which will leave a lasting impact on your life. John Harris has done an outstanding service for all Australians through compiling this overview of Christian outreach among Aboriginal people. I was blind to the treatment and issues faced by Aboriginal people since the English first settled in Australia. I am delighted to know now about the Australian heroes who left their own homes and cultures to proclaim Jesus Christ to Aboriginal cultures/peoples. This huge book has been very helpful to understand the situations throughout Australia from both the settlers/white Australian and Aboriginal perspectives. I am looking forward to reading in the future his summary of the develops in Aboriginal treatment and evangelistic outreach, especially amongst indigenous Aboriginal churches, since the Mabo court case. I would thoroughly recommend this book to both Christian Australians and secular Australians. Some people may not admire the missionaries' motives. I admire such people who tried to protect and bring benefit to the Aboriginals. It has been interesting to read how the early missionaries and settlers could just not fathom the culturally different world views of the Aboriginals. I trust I will be able to care for Aboriginal Australians much better after the insights I have gathered from this great book. I think this book has opened my eyes to historic attitudes of early explorers it mind that could not understand people of different colour and non English language and different ways of life. The Australian Aborigine was a unique race of people who had freedom to roam and exist and live with their own ethical code of conduct. Progressive Governors and leading churchmen could not always comprehend that there were other creatures who occupied a new land as traditional owners who saw invaders of contrasting colour that appeared aggressive and invasive to their land. The early explorers thought they were superior to something they had never before encountered, a people who could not communicate in their language whose only natural weapon was a spear and a bend a stick, a boomerang, for daily gathering of food. Typical of many invaders they raped and pillaged and brought foreign diseases that killed and maimed these innocent people. A different history that I was taught in school in the 1930's. An excellent book that needs a reprint and widely advertised and distributed. This is a sobering book about a shameful period in Australia's history that has largely been forgotten. When Australia was invaded by British settlers the aboriginal inhabitants were not only dispossessed they were often hunted down and killed without mercy. The Christian churches were very slow to try to protect and to evangelise them, but with significant exceptions. A few individuals carried out heroic missionary activity in the face of much indifference and opposition. This is a history that should to be known by all Australian Christians. This book is a superb historical account of certain Christian groups' attempts to help the Australian indigenous population to deal with the European invasion of their lands. It deals honestly with the successes and failures of these people as they worked with the communities. It is a must read for those who are seeking to understand the Indigenous people of today. This book has been out of print for quite a while and its updated version (to mid-1993 events)and its return in a digital format will, I am sure, be welcomed by many new readers seeking to broaden their understanding of the issues as relating to the Australian Indigenous communities. It still contains the many illustrations, maps, references and footnotes which allow the serious reader to be able to follow up on issues of interest. An amazing read through Christian contact with aboriginal people in Australia. Shows the good and the bad, plenty of bad. Personally challenging in so many ways, but also has hope. 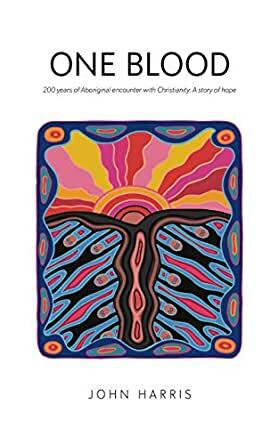 A must read for anyone wanting to know the relationship between the church and aboriginal people.